To get to your license key from the Bird Journal About screen, click Help then About. You will see your license key on the screen, but rather than re-type it, click the Update License Information button. This opens a screen from which you can copy the license key to the clipboard, ready to paste as needed. 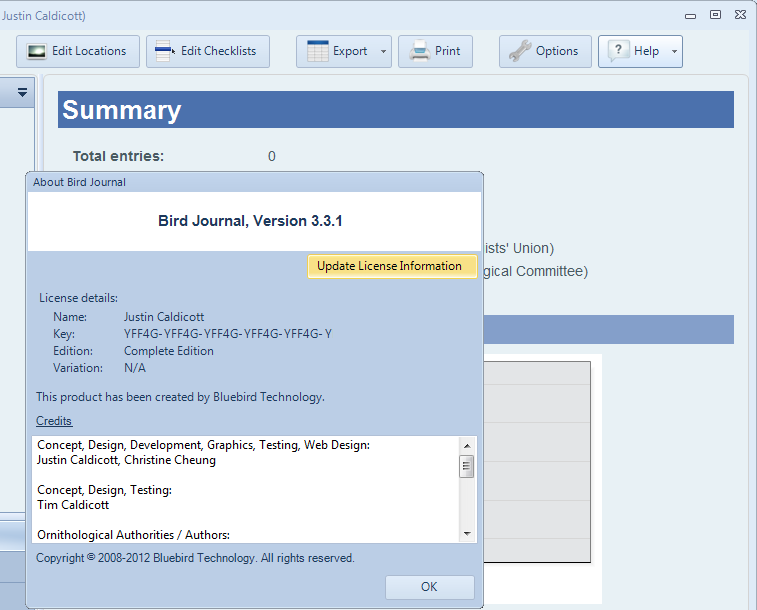 If you cannot find your original email and do not currently have Bird Journal version 1, 2 or 3 installed, you can reissue your license details via email.